With only weeks to go to the holiday season are you on track to hit your targets? Whether its end of calendar year or mid-financial year it is critical to know your smart numbers; what are they and how are you performing against budget? Smart numbers vary by industry & business but we almost all need to track Revenue, EBIT, On Time Deliver & Customer Satisfaction. It would also be a good idea to track Sales Orders, Sales Enquiries, Quote Win/Loss ratio, days in Accounts Receivable & Payable as well as inventory turnover. This may seem like an awful lot of work but really once you have systems and KPIs in place they really look after themselves. The trick is to only measure what you really need to grow your particular business AND then to analyse/monitor these figures regularly (I would suggest a “dashboard” type meeting weekly with your senior team) so as to make changes as required to achieve your budgets. How to get started? Well, first up there is no better time than NOW to prepare for the second half of the financial year; most business’ start to see a slow down leading up to the holidays so use this time to get prepared, collect all relevant information such as Revenue & EBIT actual compared to budget. Also get reports on products, regions and sales reps results year to date versus budget. Then do a SWOT and PEST analysis of the business and ask all your key people to do the same. Get honest feedback from everyone, especially the shop floor about how things could be improved and/or done more efficiently. 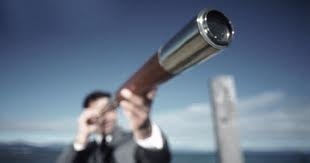 Take a fresh look at your marketing with the eyes of a potential customer; do you like what you see? Would you buy it? Ideally you should then have an off-site strategic planning workshop with your management team to put the necessary steps in motion so as to hit the ground running come the New Year. Depending on the type of business you have it may be better to do all the prep work this side of the holiday, then have all your senior team come back a day early or meet in a less formal environment over the holiday. This has the added benefit of getting your team to be more open than they would possibly be in a boardroom situation. So are you on track? Have you got the KPIs in place to be sure? Have your team got all the resources they need to hit their targets? Give them the best possible chance to succeed by following the simple steps above. Remember if you fail to plan, you plan to fail!